The ultimate Tanzania safari insider’s guide. Read this blog for insights to help you set off from the UK straight to Africa. We’ve included everything you could need, from important travel requirements, to insider tips we’ve picked up on our extensive travels through this amazing country. Udzungwa National Park has a size of 770 miles², roughly 8 times smaller than Serengeti National Park. The park contains a variety of habitats, including grassland and tropical rainforest. The park is also home to a wide variety of animals, including over 400 different bird species, and some very rare species of primates which are unique to the park. Unbelievably, despite being relatively unknown compared to the larger parks in Tanzania, Udzungwa has the second largest biodiversity of any national park in Africa. This makes it a great place to stop off for anyone with an interest in African wildlife. Part of the reason this park isn’t as popular as some of the other parks in Tanzania is that it is only accessible on foot. There are no roads within the park, and the terrain is very mountainous. This lends itself poorly to tourism, but makes the park a firm favourite with hikers and extreme trekkers. Fortunately there are also trails which less experienced hikers can take, like the 1 hour Sonjo trek. By far the most popular walk is the Sanje Waterfalls walk, which takes roughly 4 hours to complete and gives walkers the chance to visit the incredible waterfall and even swim in the plunging pool. Gombe National Park (also known as Gombe Stream National Park) is one of the smallest yet most famous parks in Tanzania. The park’s claim to fame is that it is where renowned primatologist pioneered her research on chimpanzee behaviour. Despite the small size of the park and the level of dedication required to access it (you’ll need to hire a boat), Gombe remains a popular tourist destination. Aside from the chimpanzee communities, Gombe is also home to a variety of other primates and animals, including snakes, hippopotamus and leopards. Mikumi is another national park which tends to be overlooked, but is actually the 4th largest in Tanzania, covering an area of over 3,000 km². The landscape and terrain of Mikumi is very similar to that of the Serengeti, in that large parts of the park are fairly inaccessible due to the vegetation. The best-kept secret about Mikumi is that many guides claim it is the best place to see lions climbing trees, behaviour which is often claimed you’ll only find in Lake Manyara. Saadani is officially the 13th Tanzanian national park. It is unique in that it is the only national park in Tanzania to border the sea – a feature which means that often the wildlife you’ll find in Saadani are unlike anything you’ll find at any of the other parks in Tanzania. Saadani is home to 4 of the ‘Big 5’ which people generally go to Africa to visit, however it’s also home to some rarer animals like Dik-Diks, Nile Monitors and a wide variety of monkeys. Saadani is geographically the closest park to Dar Es Salaam, making it very straightforward to get to and popular with tourists. The other big draw of the park is the beach area which connects the sea and the rest of the park, and boasts truly stunning views across the sea. Zanzibar is only a short distance over the water, so if you have the time then we’d recommend trips to Konokono Beach Resort and maybe even The Residence, Zanzibar. Although Gombe might be more famous for being the home of chimpanzees due to all the work Jane Goodall has dedicated her life to, Mahale National Park is actually the place to head if you’re interested in seeing wild chimpanzees. The chimpanzee population in the park is the largest known population in the world, and it is often believed that the remoteness of the park has played a big part in allowing the chimpanzees to flourish. There are several unique characteristics of Mahale National Park – firstly, it is the only place in the world where chimpanzees and lions co-exist. Furthermore, there are no roads so it is one of the few African national parks which must be accessed by foot. Visitors to the park must access via boat over Lake Tanganyika. This is a low key yet superb eco-camp, set in the stunning Naboisho Conservancy. The camp is said to boast some of the best game viewings in Africa, partly due to the salt lick which the camp overlooks, which attracts a wide range of animals throughout the year, all within easy viewing distance of the camp. Another reason the camp is a great place for viewing wildlife is that it is fairly small, and is shaded by a thick acacia forest, making it less intrusive on the savannah and less likely to be a nuisance to surrounding wildlife. The camp only has 12 tents, but each is very spacious and includes a private veranda, bathrooms with a view and all tents are furnished with locally made furniture. All tents are very private, and there is generous spacing between the tents to ensure maximum privacy during the stay. Set in Pilanesberg National Park, this upscale, family-friendly bush lodge is 4.6 km from the town of Ledig and 5.4 km from the R556 road. The relaxed rooms feature satellite TV, free (limited) Internet access, and tea and coffeemaking equipment. All have direct access to shared patios or balconies with scenic views. Minibars are available on request. Room service is offered. Complimentary perks include game drives, and breakfast and dinner served in the on-site carvery and bush restaurant. There’s also an outdoor pool with an adjacent cocktail bar. Other amenities include a children’s playground, and volleyball and tennis courts. While we’re talking about Legacy hotels, we should probably cover the Commodore Hotel in South Africa – perhaps the best known of the Legacy hotels. A 4-minute walk from shopping and entertainment at the V&A Waterfront, this harbour-view hotel is also an 8-minute walk from Two Oceans Aquarium and an 11-minute walk from the Cape Town Diamond Museum. Sleek, contemporary rooms feature minibars, desks, free Wi-Fi and flat-screen TVs, as well as tea and coffeemaking facilities. There’s 24-hour room service. Amenities include a cocktail bar and a relaxed restaurant with a harbour-view terrace and international dishes. There’s also a spa and a 24-hour gym, plus a business centre and 2 meeting rooms. If you’re visiting Cape Town, then you should definitely try to pay a visit to one of the most celebrated restaurants in the whole of South Africa, Nobu restaurant in Cape Town. We mention this restaurant over on our One & Only Cape Town page as it is fairly close to the hotel. It’s not a restaurant where you’ll typical South African influence – Nobu is essentially a Japanese restaurant with strong Peruvian influence. However for those who want to experience authentic South African cuisine, your best bet is the seafood, which is all caught locally. Nestled at the bottom of the Table Mountain, this botanical garden is regarded as one of the most important botanical gardens in the whole of Africa. The garden was created to preserve flora within South Africa, and was one of the first gardens in the world to be built for this purpose alone when it opened (1913). The garden is now more than just a collection of local flowers, and is home to a large conservatory which can be explored. On Sundays between December and March, you’ll be able to visit concerts which are held at the gardens. If music isn’t your thing, then there are craft markets held at the gardens on the last Sunday of every month. The garden itself is split up into smaller gardens, arranged by the properties of the flowers. For example, there is a medicinal garden and a fragrance garden to explore, both of which smell amazing! 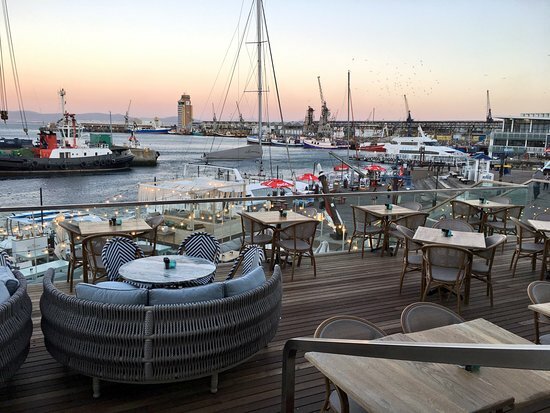 Set on the edge of a brilliantly white beach at Granger Bay, across from Cape Town’s popular V&A Waterfront, the Grand Café & Beach is a hub of oversized chandeliers, antique Indian rugs, Parisian café chairs and open windows to the deck rolling in the fresh sea air. It’s also home to quality local cuisine, and an incredible service to boot. With a bistro-styled menu for both lunch and dinner, you wouldn’t head here for a large meal – more of a place for a light bite to enjoy alongside a stunning view. If you’re not looking for food, there is a great range of cocktails and other drinks to choose from. The modern interior of the cafe is a world away from the old fashioned post office building it once was. The Highlands of the Ngorongoro Crater is an often overlooked area of Tanzania. Set on the edge of the forest, next to the Olmoti Volcano, the Highlands strikes the perfect balance between sheer wilderness, and a luxury escape. The wilderness in the Highlands that you’ll likely see includes buffalo, leopards and elephants. The location is remote, however the crater and other areas of notes are within easy travelling distance. If you’re in the area, you could easily hop over to Gibbs Farm for a visit. Equally worth a visit is the Ngorongoro Crater Lodge. The camp is made up of 8 suites, each boasting incredible views, as well as wood burning fires. Each suite is dome shaped, offering 360 views over the surrounding land. Nairobi National Park was the first national park established in Kenya way back in 1946, and despite it’s age many people still consider to be the best in the country. As it’s south of Nairobi, it is well within travelling distance of Tanzania. Much of the appeal of the park is the location as it makes it very convenient to travel to – the buildings in Nairobi are clearly visible from the park grounds. Nairobi National Park is known as one of the most successful rhino sanctuaries in East Africa, and the park is home to a variety of wildlife despite the relatively small size of the park in comparison to parks elsewhere in Africa. This includes cheetahs, hippopotamus and lions. The park is still considered to be the number one tourist attraction in Nairobi by many, and is very popular with school trips and tourists. Less than 30 meters from the entrance of Nairobi National Park, you’ll find Nairobi Safari Walk – an elevated platform boardwalk covering more than 25 acres of Kenyan ground. It’s the perfect way to enjoy a slightly more relaxed safari walk. The walk covers every aspect of Kenyan wildlife that you could ask to see – from the Savannah to the wetlands. It’s also the perfect way to see wildlife like monkeys, big cats and zebra. The safari walk is open every day and tickets can be bought at the entrance. Guides are available to take you around the walk if you want some expert advice, and it is advised to remember that although children are permitted, this is by no means an easy walk! Karen Blixen is a well known Danish author who was famed for her book Out Of Africa, which told the story of her life in Kenya and which was eventually adapted into an Oscar winning movie. Situated at the foot of the Ngong Hills, the museum is actually part of the farm which ‘Baroness Blixen’ lived in during her time in Kenya. Due to the popularity of the book and film, the museum has become known as one of the top attractions within the Nairobi area. The museum building was built in 1912, and is also great place to visit if you’re interested in the architecture of that era. The majority of the land was used for coffee farming (around 600 acres), but this land was eventually sold to develop housing for the area which eventually became known as Karen. When Karen Blixen was living in this part of Kenya during the early 20th century, it was known as ‘British East Africa’ as it was controlled by Britain. The house was eventually donated by the Danish government to the Kenyan government as an independence gift and now plays a big role in generating tourism to Kenya! Located in the heart of the Shaba National Reserve, this small camp is home to 10 stunning rooms within Somali style tents. Joy’s Camp sits on the site of Joy Adamson’s original tented home in Shaba, where Penny the Leopard was brought up and released. Joy’s Camp overlooks a large natural spring where elephant and lion jostle for watering rights. Each of the Joy’s Camp tents have large verandas with sweeping views of the surrounding hills, and are exclusive and private. Activities here include game drives, guided bush walks, bush breakfasts on the Ewaso Nyiro River, sundowners, visits to local boran villages, and use of the swimming pool. Located in the heart of Nairobi, Ngong House is a small but special lodge situated within four hectares of privately owned land, in the Karen/Langata area of Nairobi city. The aim of the lodge is to provide a welcoming stay either at the beginning or end of a Kenyan safari, and the countless rave reviews of the house suggest it still provides this. The lodge itself has one main living area, with an open fire, plenty of comfy cushion-scattered sofas, ornate rugs strewn over shiny wooden floors, and a collection of ornaments, pictures and coffee-table books. For those who have longer than a night to spend here, the swimming pool is a welcome bonus, and the two billiard tables are a good distraction for some after dinner entertainment. There is a small shop on site where you can choose from a collection of handmade jewellery and clothing. Open every day of the year, the National Museum in Nairobi has been a popular place for locals and tourists alike since it opened in the early 20th century. It’s great location (just 10 minutes from the city center) and extensive array of Kenyan artifacts has cemented it as one of the ‘go to’ places for anyone visiting Nairobi who wants to learn more about the history of the country. The museum is intended to act as a celebration of Kenyan history, culture and nature – and the exhibitions within the museum certainly reflect that. With an impressive art gallery and a beautiful botanic gardens, it’s the perfect place to visit for anyone wanting to learn more about Kenyan culture. Fort Jesus is an impressive fort based on Mombasa Island, and the museum at the fort can make for an interesting day trip. The fort is generally regarded to be one of the best examples of Portuguese architecture still in existence (it was built by the Portuguese to protect the port of Mombasa, where many Portuguese workers were based). Fort Jesus is the most visited attraction in Mombasa and attracts thousands of visitors each year. The museum can be found within the walls of the fort, and is a humble collection of artifacts and information related to Fort Jesus. With most of the fort still intact, as well as cannons which are hundreds of years old still on the premises, it isn’t hard to imagine how intimidating the fort must have been in it’s heyday. Perhaps the most remarkable and interesting thing about Singita Serengeti House is the location – based right in the heart of arguably the most impressive national park in Tanzania, it’s a great place to stay for anyone who wants to be right in the middle of the action. Despite the surrounding chaos, the house is exactly how you’d imagine a Singita property to be – luxurious and comfortable, with all of the amenities you’d hope to find in a top hotel, including a gym, spa and tennis pavilion. The house is fairly small, and can only accommodate 8 guests at a time. However all of the extras more than make up for the smaller size of the house. Aside from all of the activities at the house, you can also enjoy a glass of wine as you look out onto animals across the plains. The house is located right at the foot of Sasakwa Hill. The Great Rift Valley Golf Resort boasts panoramic views across Lake Naivasha, and also of course of the Great Rift Valley. The lodge is the ideal holiday destination for any golf enthusiasts, as it is home to an 18 hole championship course. However it has other facilities too, including clay tennis courts and a large pool. The rooms at the lodge are very spacious, and all of them are garden facing so they have great views. Each room is furnished with beautiful wooden furniture too, and some of the rooms have a balcony making the view even more special. The lodge is home to 2 restaurants, and all of the food is homemade. There is also a luxurious lounge bar which has a terrace overlooking the rest of the resort. If you want to get away from the resort then Lake Naivasha is a great place to head – boats can be hired, and there is plenty of wildlife to see there too. The lodge is less than 30 miles away from Nakuru airport. Overlooking the Indian Ocean, Voyager Beach Resort is a 4 star hotel in a stunning location. The hotel is only a small distance from the centre of Mombasa, so although the view is peaceful from the hotel, you’re never too far away from the more lively side of the city. The hotel is very modern and has beautiful gardens which are great to explore. There is also a pool which overlooks the ocean, as you can see in the image below. The coastal, beach feel of the hotel is reflected in the interior design too – pictures of the view from the hotel and other beach shots from around Mombasa cover the walls. The rooms are luxurious and include quality linens and relaxing sitting areas, and there is also a games room within the hotel which is open to all of the guests. With a large spa and wellness centre on site, plus 2 pools surrounded by palm trees and a free tennis court, Hemingways Watamu has something for everyone. It is located right on the beachfront of Watamu, Kenya, and boasts stunning views across the sea. All rooms are equipped with air conditioning and free WiFi is included. The rooms are furnished and designed in a modern style. The restaurant at Hemingways Watamu offers outdoor dining with views looking out across the sea. Open for breakfast, lunch, and dinner, it features eclectic cuisine with a focus on fresh sea food and local favourites as well as European inspired dishes. Guests can partake in an array of activities in the area, such as snorkeling, fishing, and bird watching. The Gede Ruins are a 5-minute drive from the property, while Malindi Airport is 12.4 miles away. Located in Kenya across from the Masai Mara National Reserve, this private conservancy is a ground breaking project of tourism benefiting conservation and community. With its high concentration of wildlife, visitors can enjoy exceptional wildlife encounters while also knowing that by visiting the conservancy, they are supporting the survival of countless species of African wildlife. If you visit the conservancy, you’ll likely see big cats – Mara Naboisho has an impressive number of big cats – as well as rarer species like Aardvark, Ratel and Serval. The conservancy covers roughly 50,000 acres, and not only helps to preserve the local wildlife, it also helps to support the local Masaai community. Staying at the conservancy helps to fund projects like helping Masaai locals to become guides, as well as supporting local schools and healthcare. Lake Nakuru National Park might not be as popular as Nairobi National Park, but it is generally considered to be a much more visually striking park. This is helped by what the park is perhaps most famous for – the millions of flamingos who congregate there and are frequently seen nesting on the shores of the lake. Equally impressive is the fenced off sanctuary portion of the park, which is home to both black and white rhinos. The park is situated right in the middle of the Great Rift Valley, making it an ideal spot for hiking. The varied terrain also makes the park popular with a range of wildlife, from lions to zebras. Another thing which the park is known for are the slightly spooky drowned trees, caused by rising water levels during 2014. Tsavo East National park might be based in Kenya, but it’s so close to the Tanzanian border that if you’ve got the time it could be worth a visit. As one of the oldest and largest parks in Kenya, it does have a reputation with the locals, but has never been quite as popular with tourists. Tsavo East National Park borders the Chyulu Hills National Park. One of the biggest draws of the park are the so called ‘Tsavo Lions’, a population whose males usually lack a mane, the reason for which is unknown. As one of the largest game reserves in the world there are plenty of other animals at the park, including elephants, giraffes and leopards. If you’re visiting Tsavo East, then you’ll be within travelling distance of Mount Kilimanjaro. The park is also home to the slightly scary but still impressive Yatta Plateau, the world’s longest lava flow. the flow stretches to almost 300km and was formed by lava from Ol Doinyo Sabuk mountain. If you’ve got the time, you could also make the trip to the Arusha Coffee Lodge, which is only a stone throw away. The Ruins of Gede are a historical site located on the East of Kenya, not far from Tsavo East National Park. It is a medieval Swahili-Arab settlement (Swahili being a lingua franca of Eastern Africa) and is although it is mostly ruinous, the site is still very much so worth a visit. Much of the appeal of the ruins is that they are shrouded in mystery – although it is believed that the settlement was built in the 13 century, much of the evidence is muddled and has resulted in many other theories springing up around the history of the settlement. It is also a very well developed settlement, which raises questions around why the settlement was abandoned so suddenly. The discovery of Gede actually turned much of African history on it’s head – the idea previously was that Africa was culturally very far behind the rest of the world before colonialism, but when artifacts from around the world were found at the Ruins of Gede, it changed this perception of the continent. It’s not just the ruins that you’ll find her either – it’s home to plenty of wildlife and there’s also a museum which is full of information about the history of the site. Based in Uganda, Rwenzori National Park is definitely within travelling distance from Tanzania if you can catch a flight, and could be worth the trip if you have a keen interest in plant life. It is known for having the 3rd highest mountain peak in Africa, and is home to a variety of waterfalls, lakes and even glaciers. Although the park is home to a wide spectrum of animals, it is mostly known for it’s botany. It is also worth noting that due to the mountainous terrain, sturdy footwear is definitely recommended. Fortunately you don’t need to trek to the top of the mountains to enjoy the wildlife, as there is plenty to see and do at the lower levels of the park. Virunga Lodge is located very near the border between Tanzania and Rwanda, making it an ideal place to stay for anyone who is considering a trip to Rwanda during their time in Tanzania. It is also considered to be one of the best gorilla lodges in the country, so if spotting gorillas is a must for you then this could be a good place to visit. The lodge is located at the bottom of the Virunga Volcanoes, and the village at Virunga is full of vibrant locals who are more than happy to welcome you in their village. It’s one of those places that can offer a bit of everything – you could either walk up the volcanoes, or you could relax in the lodge and enjoy the sounds of the wildlife around you. Nyungwe Forest Lodge might not be as close to the Tanzania border as the aforementioned Virunga Forest Lodge, but it is still well worth a visit if you’re within travelling distance of Rwanda. Situated in a tea plantation on the border of Nyungwe Forest, the lodge is an ideal spot for birdwatching enthusiasts to enjoy their hobby in luxury. Each room at the lodge has the same view of the surrounding plantation, so not matter which room you’re in you’ll have the chance to enjoy the view. Even if birdwatching isn’t your thing, the proximity to the forest also means you’ll likely get the chance to spot primates and other wildlife too. This 5 star lodge might be small, but the luxury provided more than makes up for the size, and if you’re travelling from Tanzania to Rwanda and need somewhere to stay, this could be a great option. Namibia is well within travelling distance of most of the locations included in this guide, so we felt it was appropriate to include a few hotels from this country. The Swakopmund Legacy Hotel is one of the finest hotels in the country, and is well worth a visit if you’re ever in Namibia. This upscale conference hotel built around a stately 1902 train station is an 8-minute walk from both Swakopmund Lighthouse and local history at the Swakopmund Museum, and 6 km from Swakopmund Airport.Refined rooms with a vintage vibe feature flat-screen TVs, desks and minibars. Family rooms add sofabeds. Suites offer separate living rooms. Room service is available 24/7. There’s a polished restaurant, a casino, and an outdoor pool with fountains. Other amenities include a gym, and a conference centre for up to 350 guests. Valet parking is provided. Despite all of these amenities, this hotel is fairly cheap and is a great choice for families. If you can catch a flight to Botswana from Tanzania, it’ll take you around 2 and a half hours by plane. The trip can be well worth the effort, if only to see the incredible Moremi Game Reserve, which is a protected area at the Eastern side of the Okavango Delta. It’s not a national park, it’s a game reserve, which means it is much smaller than most wildlife areas in East Africa. However despite the size of Moremi Game Reserve (under 5,000 square kilometers), it is home to an incredibly diverse range of wildlife. Cape Buffalo, Angolan Giraffe, Black Rhinoceros and more can be found in the Moremi Game Reserve. One of the biggest draws of the reserve is how easily it can be explored – you can travel by 4×4, by foot or even by mokoro (a dug out canoe). This place is well worth a visit if you have the time! The Lugenda Wildlife Reserve is one of the largest conservation areas in Africa, and within this reserve lies the Lugenda Wilderness Camp. The camp consists of only 8 tents, however they are spacious and could definitely be described as luxury. The tents are situated along the Lugenda River, and each tent includes king size beds and an en-suite. A delicious breakfast is included in your stay, and you’ll be awoken with fresh coffee every morning. As swimming in the river is not recommended, there is a swimming pool which is perfect for cooling down in.